Smartphones have become an integral part of our lives and they play a very important role in governing our day to day activity because they are always with us no matter where we go. We can’t spend a minute without them and we surely panic when we feel that they’re not within our pockets. Smartphones have advanced to a whole new level just to enhance our experience and make our digital tasks more efficient and fast paced than ever. 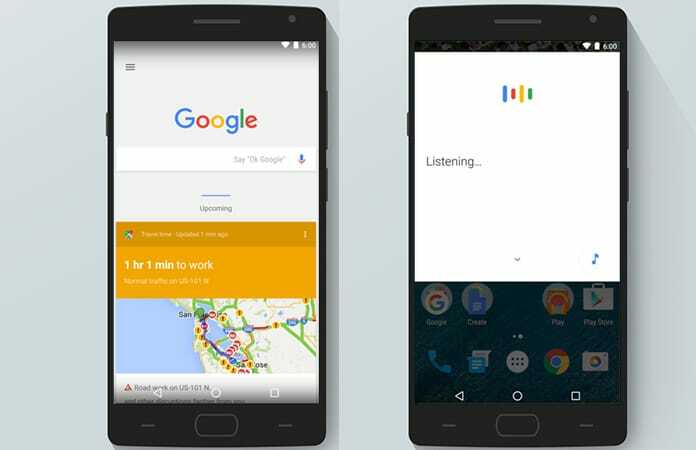 One way of making this happen is by developing an assistant, much like Siri for Android and have it installed in our phones beforehand. 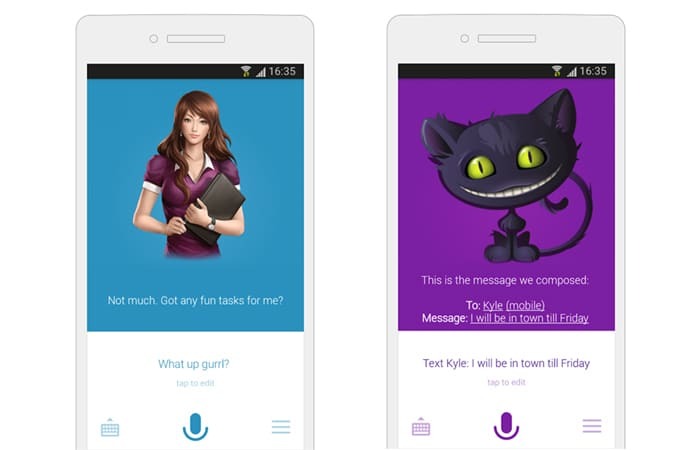 Here we have compiled a list of such assistant that acts as Siri for Android app. 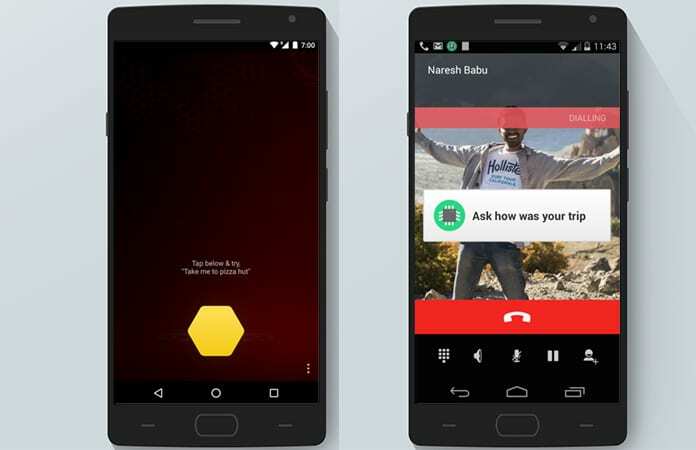 You can try them and enjoy the same experience on your Android phone. It all starts with the command, “OK Google” and your personal woman assistant comes to life so that she can take your commands as efficiently as possible. Google Now tries to be one step ahead so that it always knows what your preference or question can be which it does in several ways like sending out suggestions based on your search history, what you’ve watched, and what goes through your inbox and telling commuters how much traffic is blocking up their route home from work. It even shows the weather forecast over the next several days. And honestly, this is just a fraction of how many features it has. 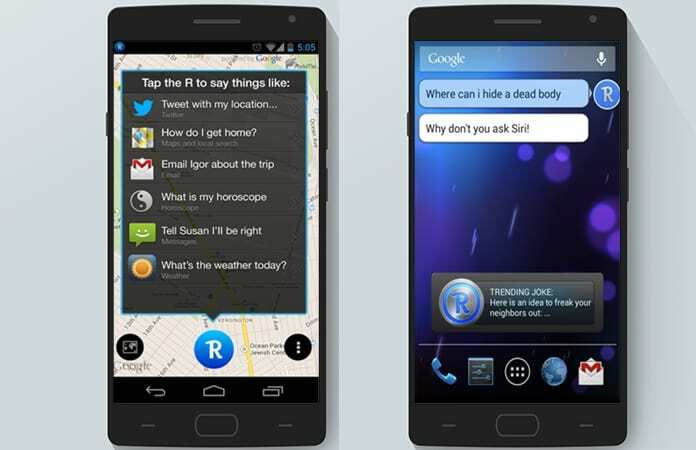 This is another personal assistant that we would compare with the likes of Siri for Android phones. Robin’s developers have tried to compete with Siri by bringing in a unique personality quality in their personal assistant which it makes it appealing to those looking for an alternative to Siri. Robin has a funny bone too. 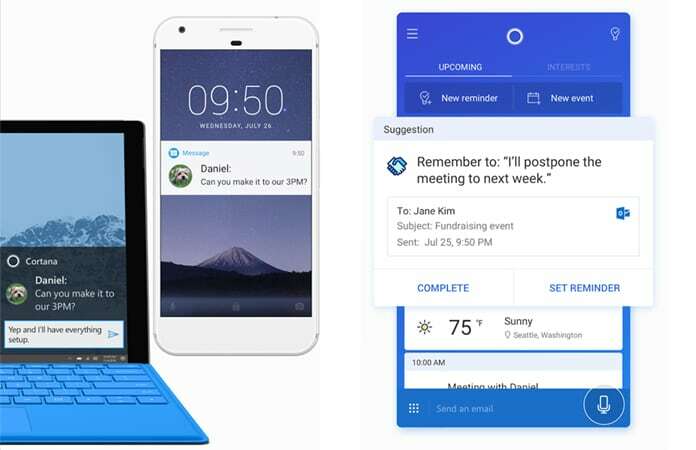 Just like Google has Google Now, Apple has Siri, Microsoft decided to create its own version of a Siri for Android so it came up with Cortana. Its biggest sell is it featuring cross-platform availability and an example of how beneficial this can be is that you can send a text message from your laptop when you miss a call on your phone. On top of that, you can even talk to your PC the same way you talk to your smartphone or tablet. It responds to the phrase “Hello Dragon.” And although it’s not very conversational, it does provide the answer to basic questions about the weather and general facts, such as the height of Mount Everest and you can use it to send email and posts to social networks. You can give Dragon its commands at any time because it’s independent. 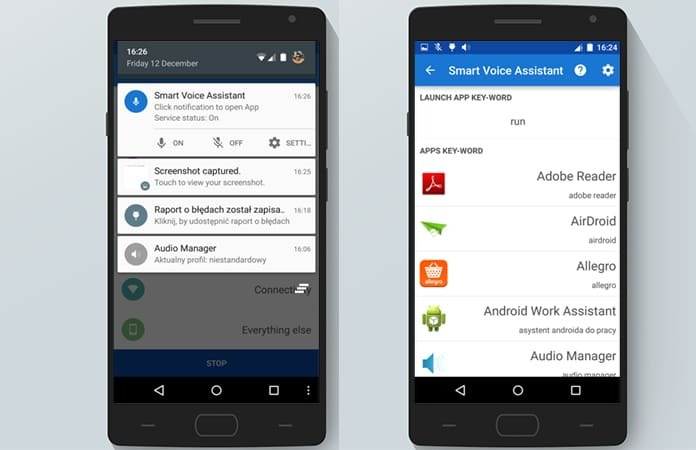 This is easily one of the most unique personal assistant and a great fit in case of Siri for Android app. The screen shows a charming secretary which will make you feel like a boss because of all the order obeying, making suggestions and even come across a lot of corny jokes and functionality that you were originally searching. We’ve all heard this fabulous assistant before in Iron Man but it’s not nearly as cool in real life due to limited functionality. It does all that every other personal assistant does and you can even connect it with your smart watch. 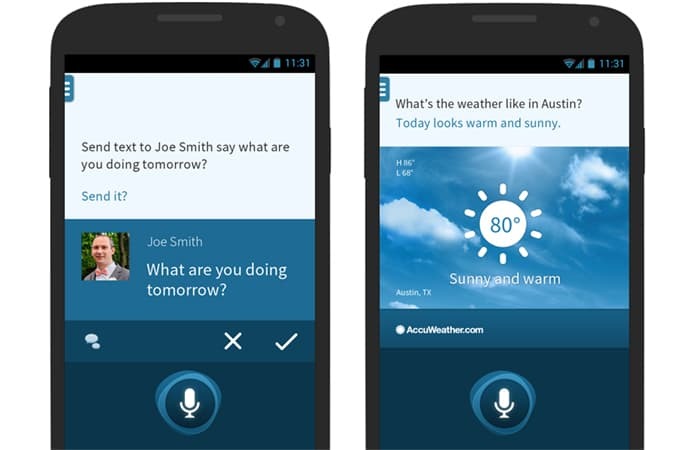 Smart Voice Assistant needs to be customized before you can activate voice commands, keywords names to contacts and particular phone numbers. 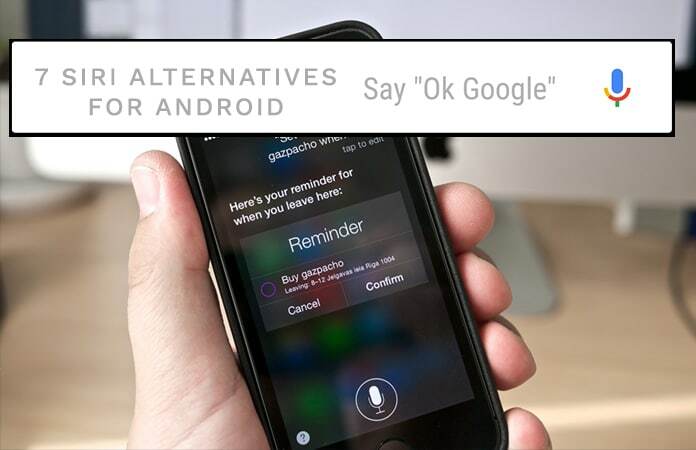 Let us know in the comments which assistant you use as an alternative to Siri for Android phones?